Few tech companies needed to put 2018 behind them more than Intel (NASDAQ:INTC). Security threats, intense competition from former rivals and management turmoil weighed on Intel stock. Now, the company, which once held the title of “world’s largest chipmaker” has shown an increased focus on data-centered products, even as Intel stock seems to trade as if the company remains mired in the past. However, thanks to this move away from PCs into the hottest areas of today’s tech industry, The stock appears ready to orchestrate a comeback. Intel’s struggles from 2018 have continued to weigh on INTC stock. Other PC-era peers such as Nvidia (NASDAQ:NVDA) and Microsoft (NASDAQ:MSFT) began their recoveries years ago. Even its rival AMD (NASDAQ:AMD), which lagged Intel in the PC era, showed signs of recovery. However, Intel still trades at a depressed forward price-to-earnings (P/E) ratio of around 10.4. Bank of America Merrill Lynch analyst Vivek Arya cited the low multiple as one reason for the upgrade. BofA also believes Intel’s sales will increase despite the glut in available chips. Additionally, they cited INTC’s performance relative to its peers. Wall Street predicts profits will climb by 0.9% this year, beating both AMD and Nvidia. They also expect double-digit growth to return in 2020. Data center chips have sold beyond expectations. Moreover, the exposure in 5G, artificial intelligence (AI), automotive and the Internet of Things (IoT) should also drive INTC stock. This became particularly apparent following its presentation at CES on Monday. Intel outlined what it describes as its “$300 billion opportunity,” announcing Comcast (NASDAQ:CMCSA), Alibaba (NYSE:BABA), Facebook (NASDAQ:FB), BMW (OTCMKTS:BMWYY) and numerous other companies as its various partners. Intel also revealed many of its new products. It told CES attendees that its 9th generation Xeon processor called Cascade Lake is now available. The company unveiled a new PC and data center processor called Ice Lake. This will become the first 10nm platform. AI, autonomous driving and 5G are expected to utilize Ice Lake. Intel has created new product lines as well. For example, its 5G processor, called Snow Ridge, will take Intel into the wireless base station market. Perhaps to show it intends to remain on the cutting edge, it even invented a chip architecture for products that do not yet exist. This design, called Lakefield, stacks logic chips on top of one another. How well these products sell remains to be seen. Intel stock showed little reaction in trading following the news. What is clear is that Intel will operate at the forefront of tech for the foreseeable future. The most successful of these products should drive profits higher, likely bringing investors back to Intel stock. An array of product offerings powered by Intel CPUs should help to bring INTC stock back from the dead. INTC has begun 2019 on a high note as an analyst upgrade led to buying last week. The product releases announced at CES should offer further help to the equity. So far, Intel stock has traded as if it were still a PC-focused company clinging to old technology. However, the product releases at this year’s CES show how Intel will power data centers, 5G, self-driving cars and other AI-based products. In short, INTC has transformed itself and appears positioned to again assume a leadership position in the tech industry. Buy Intel stock before everyone else notices. 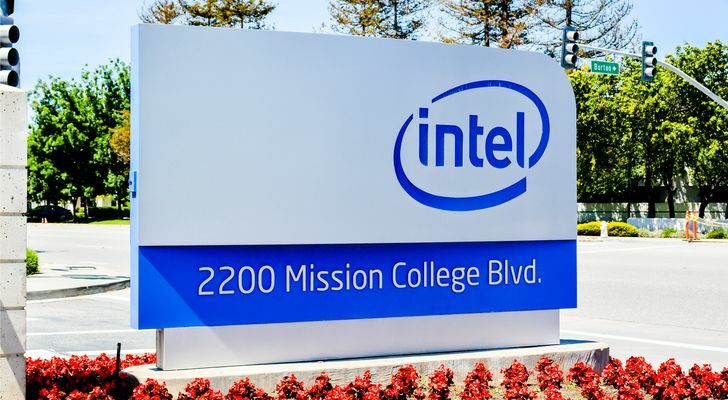 Article printed from InvestorPlace Media, https://investorplace.com/2019/01/intel-stock-new-tech-products-old-tech-valuation/.